In reference to the design patent: US D680,805 "Wide mouth flask". So any flask or bottles like these can't have this type of cap? 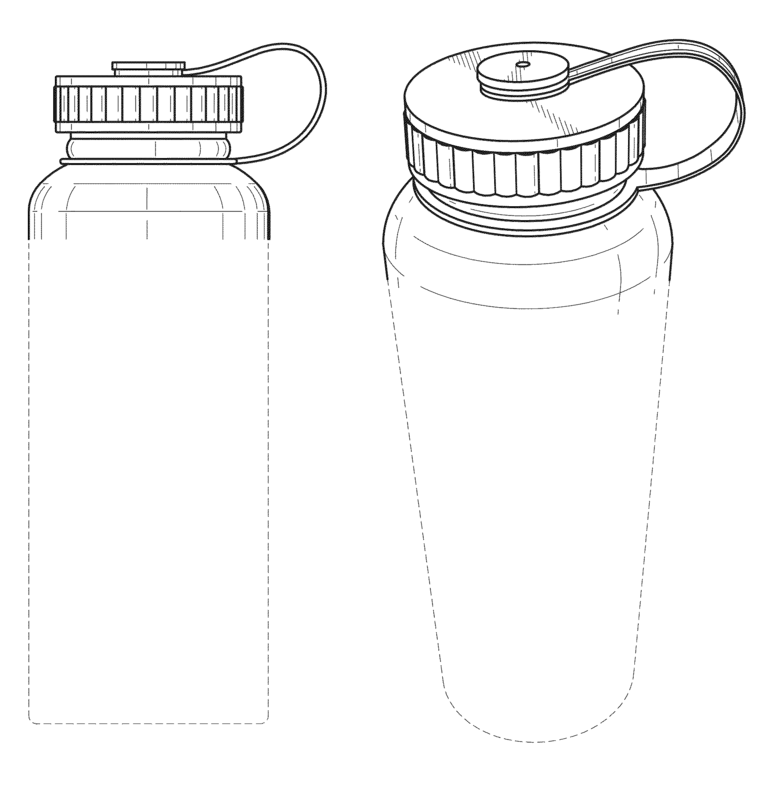 As described and shown in the patent, the design also covers the top shape and relative dimensions of the flask. In order to be infringing on the design, a bottle would need to be extremely similar in appearance, including the relative dimensions and presence of all or very nearly all features. These design patents exist to prevent knock-off products from copying a design in exact detail. The broken lines illustrate portions of the wide mouth flask which form no part of the claimed design. Also note the related design patent US D688,912, which reduces the scope of the design to only a few elements of the cap. 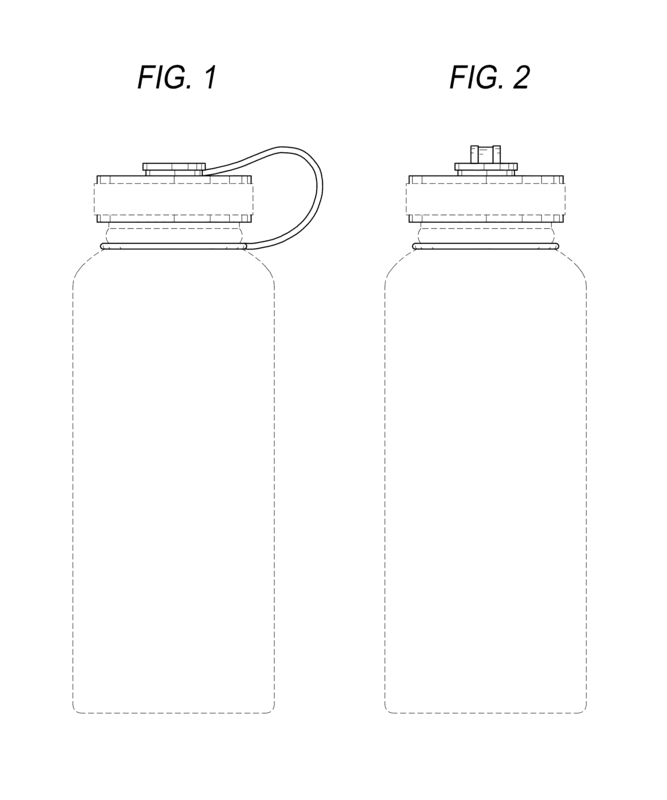 Nalgene has their own Design Patents and Utility Patents (under Nalge Nunc International Corporation). However, I did not find any that covered this particular cap design. The FDA shifted its stance on the use of BPA in food containers on February 15, 2010, which prompted nearly many container manufacturers to immediately change over their product lines (and marketing/branding) to BPA-free equivalents. The effect of this was entire product lines suddenly being disappearing from stores on the internet (Try to find a pre-2010 Nalgene bottle now. Hint: you can't). For instance, Amazon began selling the new Nalgene bottles in Spring 2010 under a new brand name that differentiated the BPA-free bottle from the original bottle. 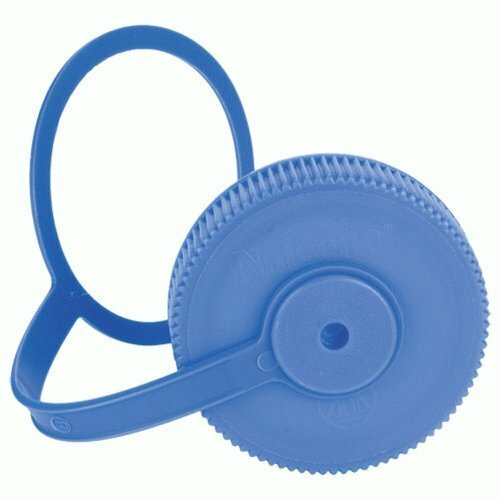 This effectively wiped out all previous comments on the original product line. However, there are some comments from May 31, 2010 that indicate that the new bottle (with the cap design in question) was indeed being sold at the time. The Priority Date of the Steel Technology, LLC design patent for the cap is September 17, 2011. By all appearances, the inventor filed this patent in order to take advantage of the above-described situation. There is obvious prior art, but due to the transition of the Nalgene product line at the time, it is difficult to prove. What would help would be some catalogs with a specific date attached that depict the pre-2011 Nalgene bottle. Not the answer you're looking for? Browse other questions tagged design-patent scope usd680805 usd688912 or ask your own question.